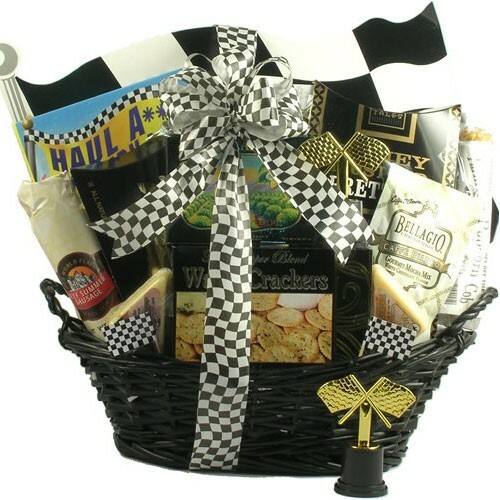 Racing fans will get all revved-up about this gift basket trimmed in checkered flag ribbon, and other racing embellishments. This gift basket will thrill the NASCAR and/or racing fan on your gift list! They are sure to get all revved-up about this gift basket that arrives trimmed to perfection in checkered flag ribbon, a heavy paperboard checkered flag decoration and other fun embellishments.